Halloween is fast approaching, which means it’s time to start planning out the designs you’re going to carve into your pumpkin. And if you’re a dog owner – or just someone who absolutely adores pups – dog-o-lanterns are for you. 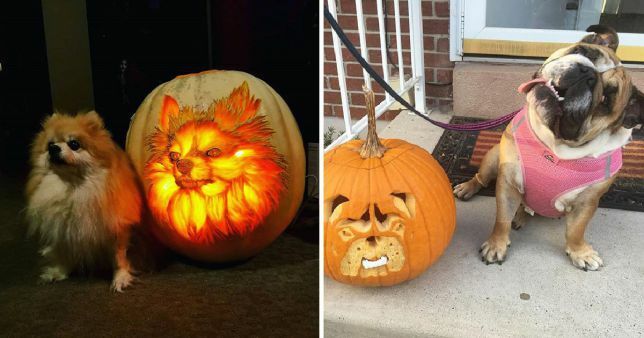 Dog-o-lanterns are pumpkins with your dog’s face carved into it. There’s lots of them on Instagram for anyone who needs a little inspiration on how to create them. Here are a few of our favourite designs so far. How cute are these dog-o-lanterns?